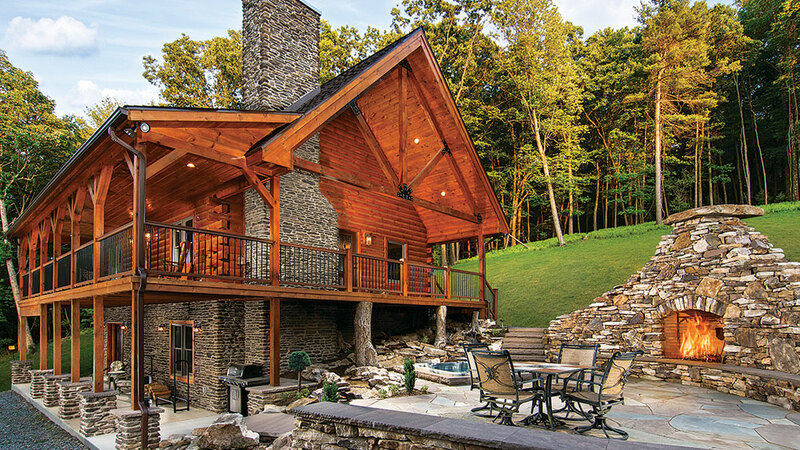 These 11 amazing log home outdoor fireplaces will help you find inspiration for your own outdoor space. There's something so comforting about an outdoor fireplace. They look great on porches and patios where entertaining is easy and accessable, but also allow the space to feel intimate and cozy when you need to retreat. 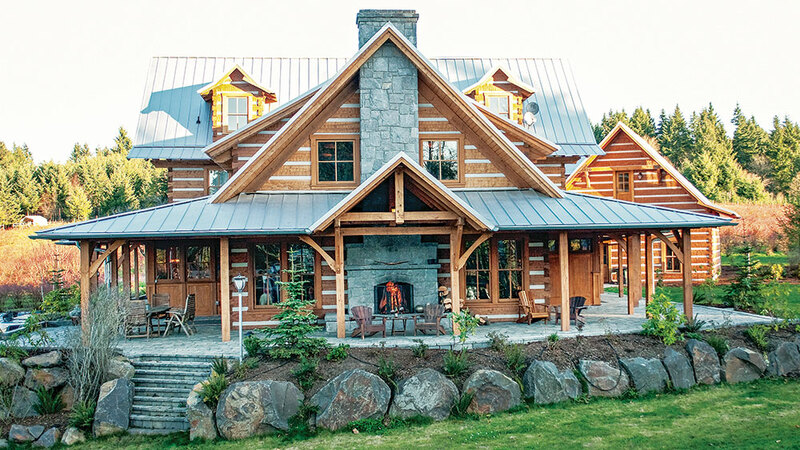 Log home outdoor fireplaces let you feel the breeze and enjoy being outside, but still having the comforts of a couch and the safety of a containable fire. Scroll through the slideshow to find inspiration for your future outdoor space. 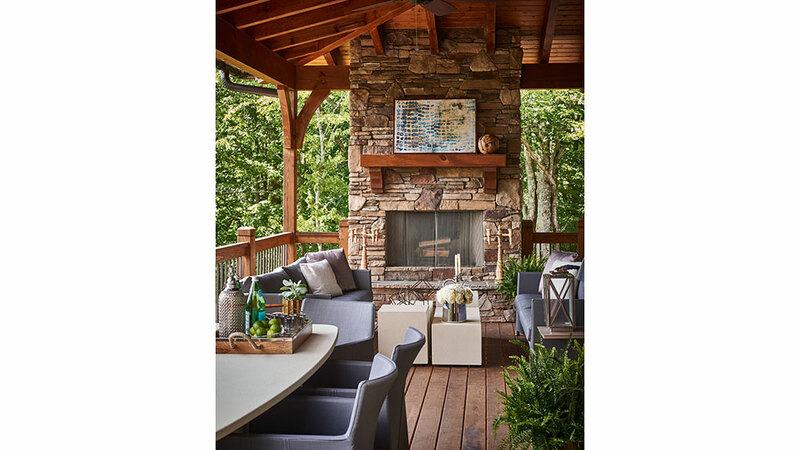 This outdoor fireplace is perfect for all types of family fun. We'd probably never leave this spot if we had an outdoor area as stunning as this. 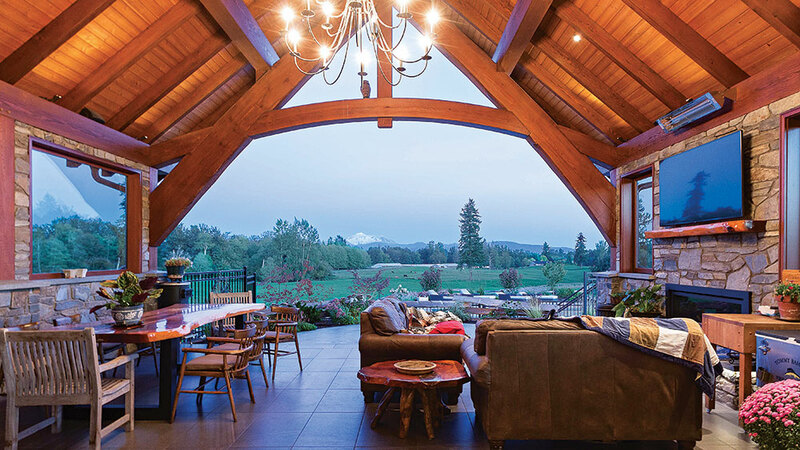 The metal star and light stone makes this rustic outdoor space feel welcoming. 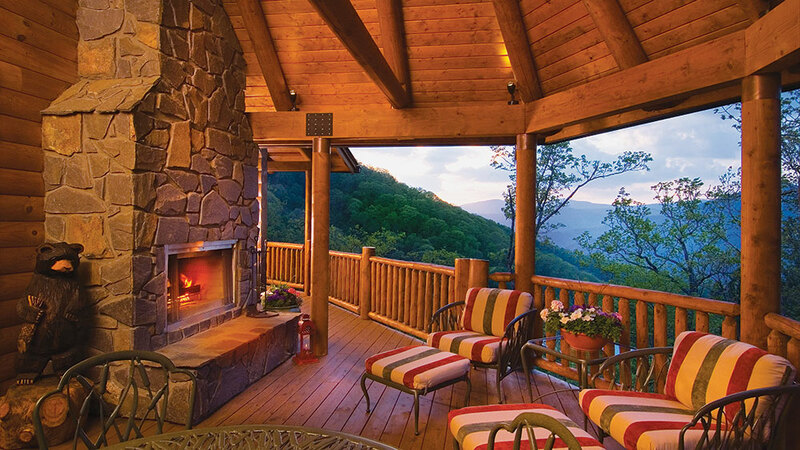 Close off your porch so you can enjoy your outdoor fireplace through all-seasons. 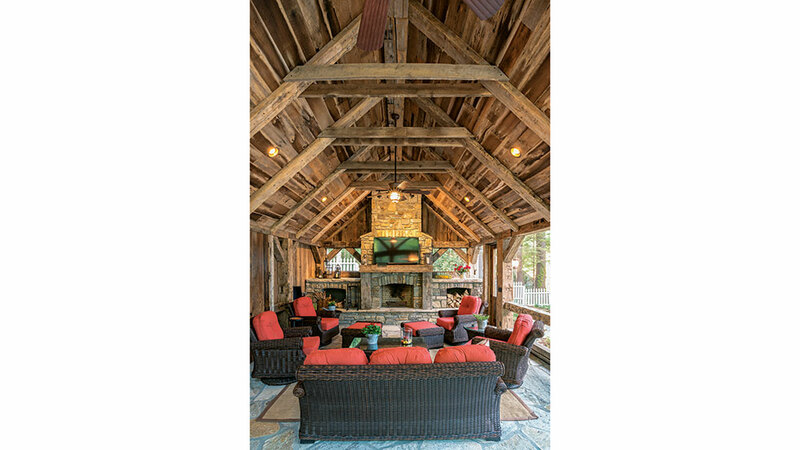 This timber frame screened-in porch is the perfect place to host a college football party this Fall. A traditional porch with great views? We'll take it! 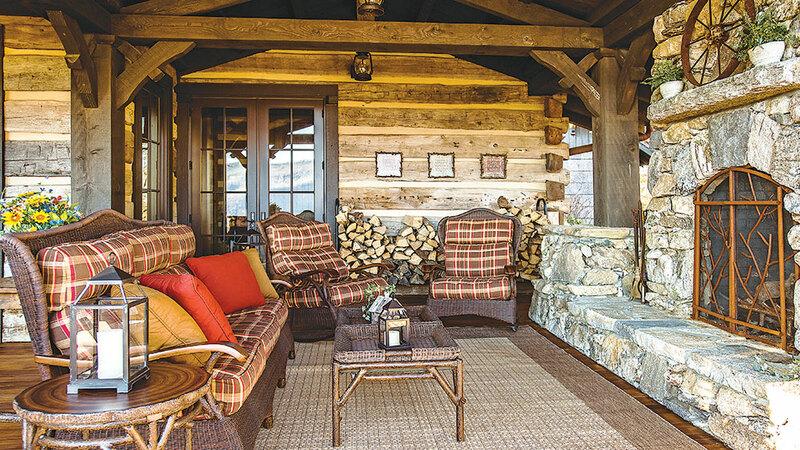 This outdoor fireplace will keep you cozy through long nights staring up at the stars. 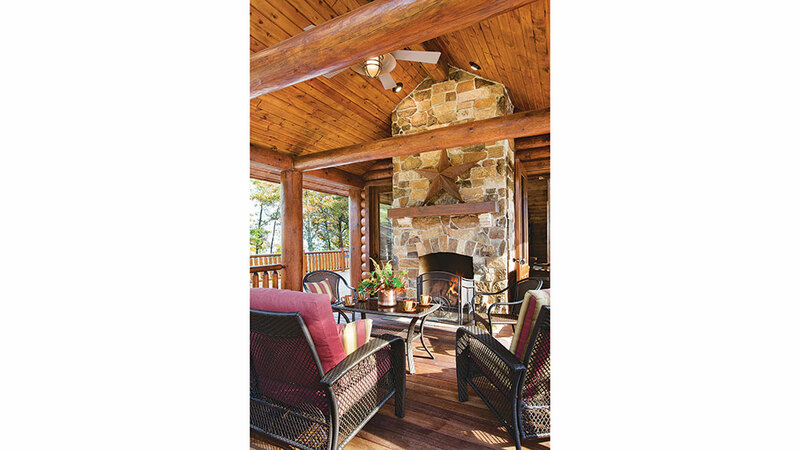 We love the natural appearance of this log mantel in a charming screened-in porch. Add an elegant fireplace screen that adds interest when a blazing fire isn't taking place. 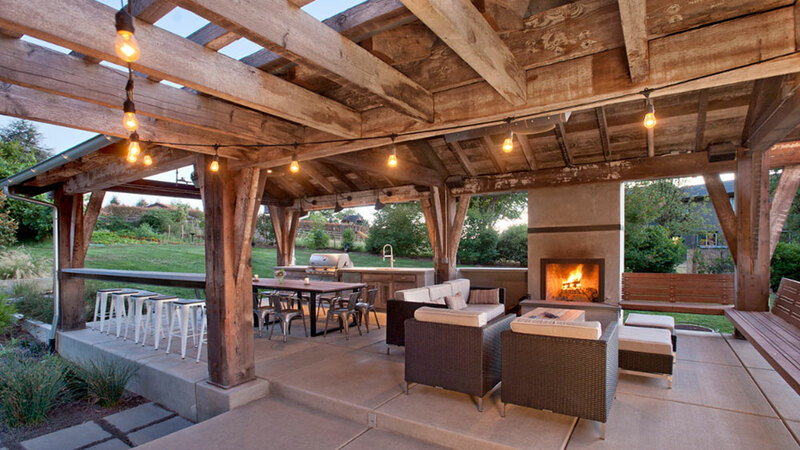 This outdoor space works great for large parties or initmate settings with a couch dividing the fireplace from the outdoor kitchen. 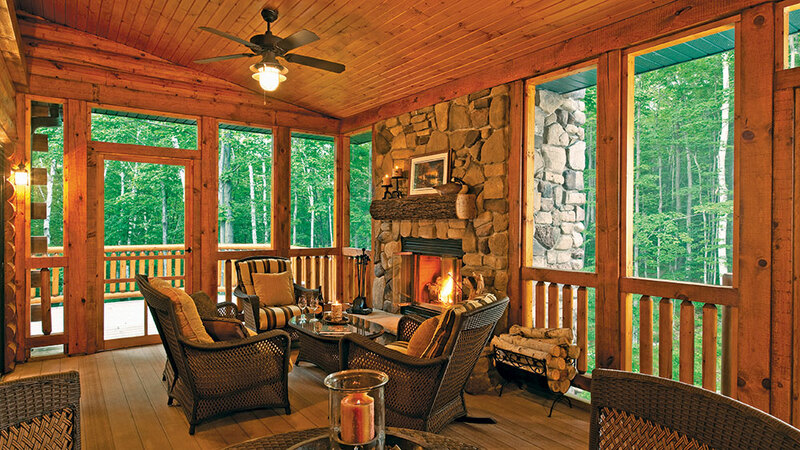 Imagine relaxing on this porch with a glass of wine and the one you love.